Atlanta star Donald Glover will be playing the lead role in Disney’s upcoming live-action version of The Lion King. As previously reported, Pirates of the Caribbean: Dead Men Tell No Tales screenwriter Jeff Nathanson will be penning the script for this upcoming film, and Jon Favreau (who directed the well-received live-action version of The Jungle Book) will be directing. Favreau announced on Twitter that Donald Glover will be playing Simba, the hero of the piece, by sharing a photo of the Atlanta actor with the words “I just can’t wait to be king.” (Referring to one of Simba’s songs from the film). Variety then confirmed that the Golden Globe-winning actor is currently in talks with Disney. 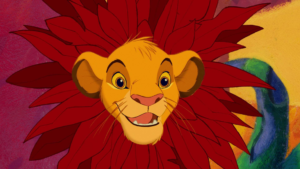 Favreau likewise tweeted that James Earl Jones, who played Mufasa in the original 1994 animated classic, will be returning to reprise his unforgettable role as the father of Simba. The Lion King is just one of the many animated Disney classic films that is being adapted into a live-action version, following the successes of The Jungle Book, Pete’s Dragon, Maleficent, Cinderella, and Alice in Wonderland. More adaptations are currently being developed including a live-action Mulan, a sequel to Mary Poppins, and a live-action version of The Little Mermaid. The next live-action Disney classic will be Emma Watson’s Beauty and the Beast, due to be released on March 17, 2017. According to a report by IGN, Favreau will be directing a sequel to The Jungle Book while Donald Glover will be playing a young Lando Calrissian in the upcoming Han Solo anthology film. Watch this space for more updates on the Disney live-action version of The Lion King.